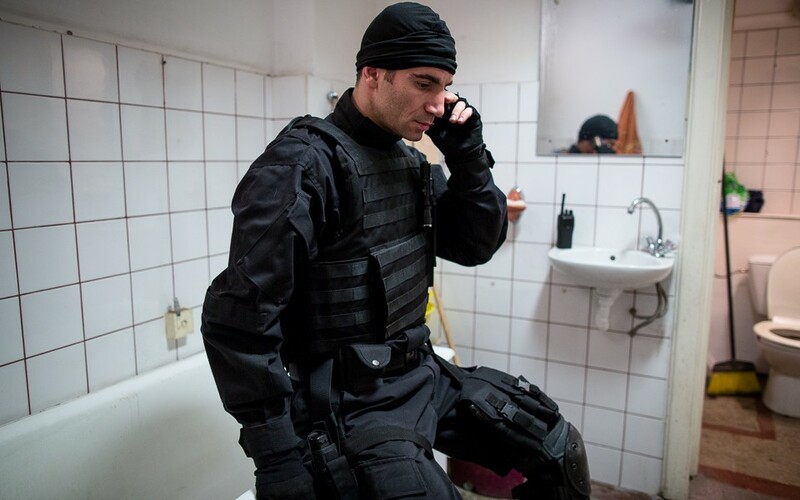 A sniper is planted inside a top floor apartment to keep the area secured for the ongoing NATO Summit. He discovers the owner of the apartment lying in bed - a half paralyzed, old woman that never talks. Once Neluta, the caretaker, is gone, the two of them are left together in an awkward silence. Suddenly, the old lady makes the sniper an odd request that will change both of their lives. Two of the employees of the Security Service ring the bell of an apartment and ask for permission to fix a supervision post during a Summit. Neluta, the woman who opened the door agreed them to fix the device and barged in the house with a completely equipped Sniper. The Sniper in charge with the mission in this area meets the owner of the apartment, an Old palsied Lady who firmly asks: "Shoot me".